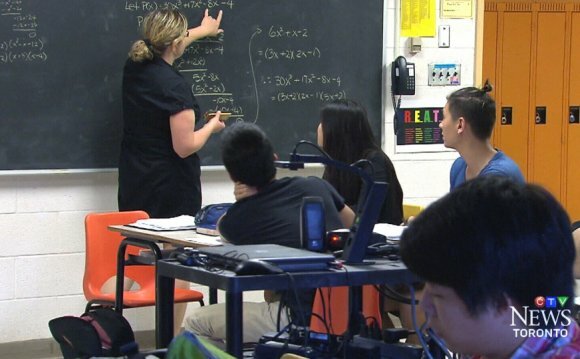 A brand new report from the provincial advocacy group states you will find gaps in Ontario's public school system, including deficiencies in assets for special education students and insufficient teachers' training on aboriginal issues. The report, entitled "The Space Between Policy and Reality" was launched on Monday through the People for Education. Based on the group, a student-to-teacher ratio in special education classes would be the greatest they have have you been recently. Normally, you will find greater than 35 special needs students per special education teacher in the grade school level, and nearly 80 per educator at the highschool level. Many parents, including nine-year-old Spencer Powell's mother, thinks this really is potentially risking their child's education. "I see instructors really consumed with stress … having the ability to manage special needs occupies a lot time, " stated Powell's mother, whose autistic boy attends an Etobicoke school. The report also outlined an excuse for enhanced training on aboriginal issues. Based on the report, only 29 percent of elementary schools and 47 percent of high schools offer teacher training on aboriginal issues. They are troubling amounts, based on the group's executive director, who states teachers play a huge role in delivering details about Canada's history. "There's an ambitious curriculum as well as an ambitious policy within the province, however when we glance at what's really happening in schools, all kids aren't always getting educated on aboriginal issues completely from kindergarten right through to Grade 12, " Annie Kidder told The Canadian Press. "Instructors typically appear at first sight uncomfortable teaching indigenous culture and issues." Across Ontario, the report implies that 92 percent of elementary schools and 96 percent of high schools have aboriginal students. Monday's report comes 1 week following the Truth and Reconciliation Commission known as around the Ontario government to make sure a lot of students are trained concerning the good reputation for First Nations, Metis and Inuit. That commission's report adopted a six-year study of residential schools in Canada, which came to the conclusion the machine would be a "cultural genocide" that brought towards the deaths in excess of 6Thousand children. Monday's report took it's origin from market research solutions from nearly 1, 200 Ontario principals. The report made numerous recommendations, including adding a unique education ombudsman each and every school board.